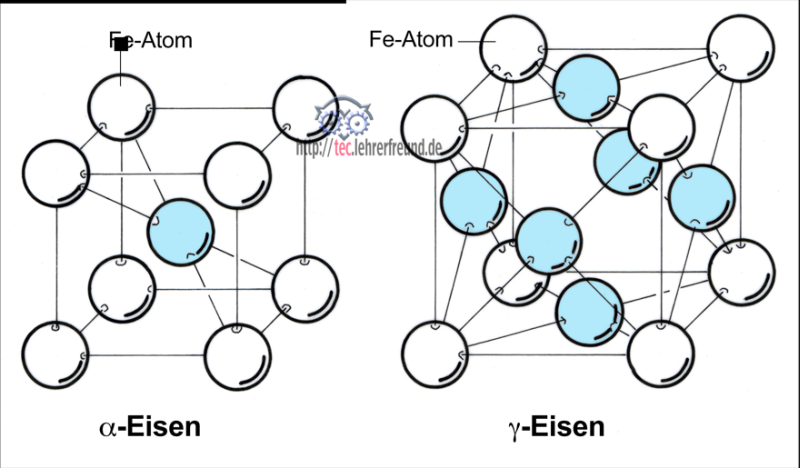 Crystalline form that iron transfers to at temperatures above 911°C (iron-carbon phase diagram). Gamma iron is a face-centered cubic iron (Fig. 1) and non-ferromagnetic. It dissolves the carbon from the cementite of the structure and absorbs it. This way, an uniform fcc crystal structure, i.e. austenite, is formed.